The status of the awarding institution is one of the most important features when assessing a foreign credential. This is especially true for the type of “institutions” known as diploma mills, which are companies that sell bogus degrees. 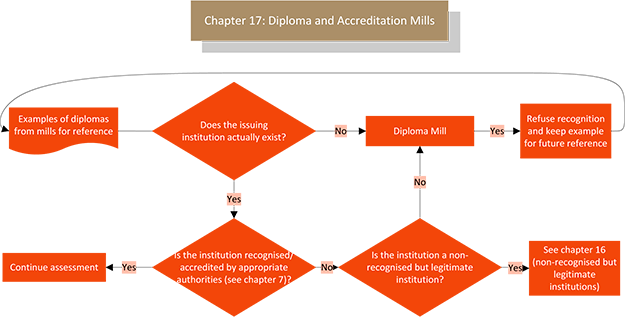 The guidelines given in the present chapter should help to identify qualifications that are issued by diploma mills.